A stacked women’s field has been announced for the Virgin Money London Marathon on April 28, with Kenya’s Vivian Cheruiyot among the five sub-2:19 athletes in the line-up. In total, seven athletes have gone quicker than 2:20 and nine have broken 2:22 for 26.2 miles, with five of the six winners from last year’s World Marathon Majors races featuring. Four-time TCS New York City Marathon champion and two-time London winner Mary Keitany returns to the scene of her women-only marathon world record of 2:17:01 from 2017, with her fellow Kenyans Gladys Cherono, the BMW Berlin Marathon champion, and Brigid Kosgei, the Bank of America Chicago Marathon winner, also racing. Ethiopia’s Birhane Dibaba won the Tokyo Marathon last February and takes on the London Marathon for the first time. She’ll be joined by her compatriots Tirunesh Dibaba, the three-time Olympic champion on the track and third fastest woman of all time in the marathon with her 2:17:56 behind Keitany in 2017, plus Tadelech Bekele, who finished third in London last year, and 21-year-old Roza Dereje, second in Chicago and winner of the Dubai Marathon in 2018. 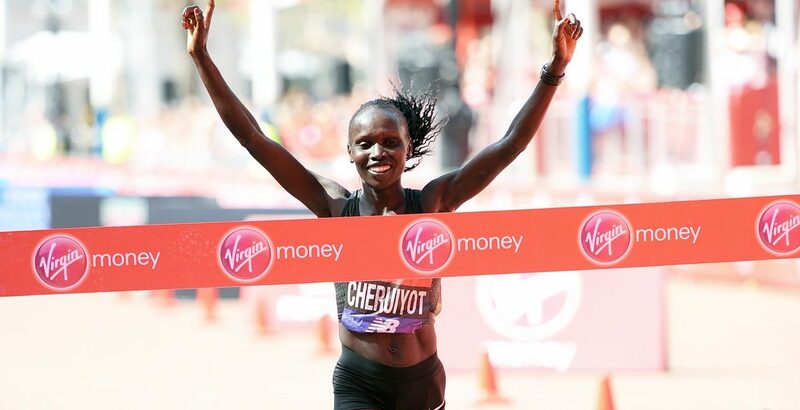 “It was a great moment for me winning last year’s Virgin Money London Marathon and I am very much looking forward to returning in April,” said Cheruiyot, who is also the reigning Olympic 5000m champion and was runner-up behind Keitany at last November’s New York City Marathon. Event director Hugh Brasher said: “This is a truly amazing women’s field which features the five best women marathon runners in the world last year. The full elite women’s entry list can be found here, while the elite men’s list, which features eight sub-2:05 athletes, is here. Read more about the men’s elite field, featuring defending champion and world record-holder Eliud Kipchoge and Britain’s Mo Farah, here. Further news on the British elite entries is here, while news on David Weir returning for his 20th consecutive London Marathon is here.